In and around Mudgee there are over 40 cellar doors, 151 vineyards and 12 wineries for you to visit. 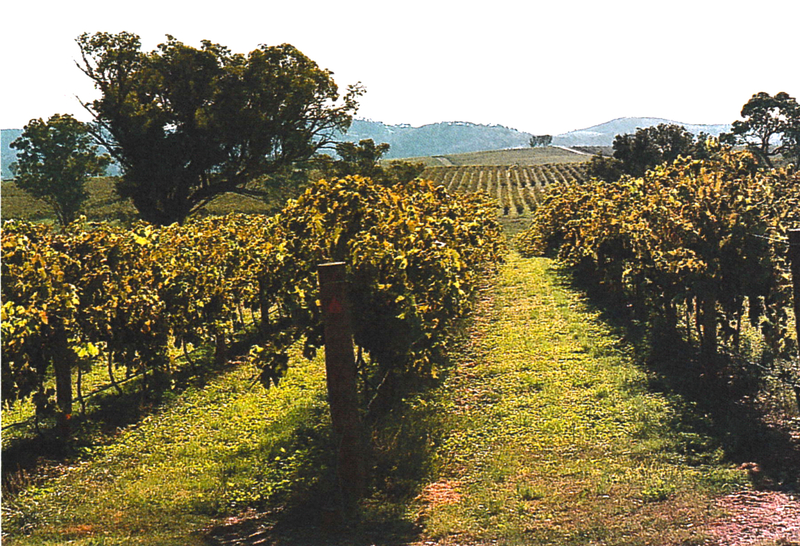 Mudgee has 2,400 hectares dedicated to grape growing which produce 14 million bottles a year. Mudgee's latitude is the same as the Clare Valley in South Australia and on average about 100m higher. Warm summer days and cool evenings together with Mudgee's elevation allows the grapes to have a slower ripening period which results in wines with great intensity of colour and flavour. Mudgee is my favourite destination for friendly people and great wines. Prepare for an adventure, a vintage experience, a showcase of fine wine. The busiest time of the vineyard year is, of course, harvest in the last summer. In autumn the winemakers are settling into their important task of ensuring that the vintage continues to reach its potential. Winter is maintenance time -trellising, pruning and repairing. And spring? Bud-burst and the promise of another excellent harvest. Taste the good life - taste the difference at Mudgee. Visit a local cellar door to track down a wine worthy of your palate. At all of the local cellar doors you'll find the friendliest people who are keen to talk about their wines, their region and imbue you with their enthusiasm. And what is the best wine in the Mudgee region? Well, it's the one you enjoy the most! One of the smallest commercial vineyards in Mudgee. Over 2 hectares of vines produce 8 tonnes of grapes in a good season, but nothing in a bad season. This lets us focus on producing high-quality wines every year. Gai & Bernard invite you to our cellar door for a unique tasting experience of our wines and delightful range of cooking products – all made on the property. Botobolar’s 22 hectare vineyard established in 1971 is Australia’s oldest organic vineyard, the vines have always been grown organically without the use of pesticides, herbicides or chemical fertilizers. Open 10am to 5pm Thursday to Monday. Closed Tuesday and Wednesday. We have premium wines crafted from organic grapes including preservative free & low preservative wines. At Bunnamagoo, the focus is on individual, traditionally-made wines. The grapes are sourced from Bunnamagoo’s two vineyards, the Bunnamagoo vineyard at high-altitude Rockley NSW and from the Eurunderee vineyard not far from Mudgee NSW. We’re here because we just love wine, cracking wine to be precise! We love a good party, good friends, and good food, with a drizzle of unhealthy banter on the side. Burrundulla Vineyards – History in a glass… Within Burrundulla’s beautiful wine tasting room and alfresco courtyard enjoy classic, elegant-natured wines, that reflect the heritage behind the ‘history in a glass’ label. Charnwood Estate in Mudgee is a small player kicking big goals with its Shiraz and Merlot. As small and boutique as wineries come, Charnwood demanded everyone’s attention when it's 2009 Charlie’s Row Merlot won against some higher profile wineries in the 2011 Winewise Championship. At Clearview Estate we implement best vineyard management practices to ensure we deliver the highest quality hand-selected fruit to the winery. These grapes are then returned to us as premium wine, rich in flavour to be savoured and enjoyed on any occasion. From the first vine planting in 1998, our family’s single-vineyard estate has grown into a renowned multigenerational boutique producer of French-style wines. We are located on the hills above the picturesque town of Rylstone, an area we were drawn to for its similarity to the Burgundian terroir of our heritage. de Mestre wines is a cool-climate vineyard located in an isolated valley in mountain country on the western side of the Blue Mountains, approximately 200 km west of Sydney. diLusso Estate offers cellar door visitors Australia’s widest range of Italian varietal wines. We also provide tastings of our extra virgin olive oil as well as our fresh figs and fig products. Ernest Schuetz's involvement in the wine industry started in 1988 at the age of 21. Working in various liquor outlets and as a sales representative for Miranda Wines, McGuigan Simeon and, later, Watershed Wines, gave him an in-depth understanding of all aspects of the wine market. In 2003 he and wife Joanna purchased the Arronvale Vineyard. Available online or at bottle shops or wine bars or restaurants. Winemaker Stuart Olsen. Handmade, boutique, artisan red wine and white wine made from Mudgee and Orange Australia. Our passion for the wines has similarly translated into a passion for the design, functionality, and architecture of our cellar door in which visitors can taste the wines, whilst enjoying the picturesque views over the vineyard. Gooree Park has long been associated with Champion Thoroughbred racehorses, but now a new Champion emerges from this magnificent property -their wines. Producing such varieties as Sauvignon Blanc, Chardonnay, Verdelho, Merlot, Shiraz and Cabernet Sauvignon, their cellar door is a must on your next Visit to Mudgee. Bob and Julie Heslop’s small family-owned dryland vineyard in the heart of Mudgee’s premium wine growing area produces small batches of handcrafted, high-quality wines. Their aim is to ‘tread lightly’, a philosophy of conservation and moderation. Mudgee’s northernmost vineyard and Mudgee’s purpose-built artisan Cheese Factory, combine to offer visitors an informative experience in the pleasant surroundings of their air-conditioned building. Established in 1969. Estate Grown made and bottled wines resulting in unique, powerful and developed red wine styles displaying terroir. Halliday’s 2005 Wine Companion rates Huntington as Mudgee’s only 5 star winery, one of eleven in NSW and within Australia’s top 10%. We are small. Jamieson Estate is a boutique Mudgee winemaking company born from a passion for wine and a love of the land. Open 7 days, 10am to 5pm. You are welcome to our tasting room in Mudgee where you can taste our range of cheese and wine and you can meet our sheep, goats and 'Al' the alpaca. I've only ever wanted to be a winemaker. I've been doing it now for 35 years - that's a good thing! I still love it. It's what gets me up in the morning, puts a smile on my face and provides the drive to keep doing it better and better. The Mudgee Region has a great range of Markets for the locals and visitors, some are produce markets and others art and homemade items. Our Organically Grown and vegan-friendly wines have been a part of this region for over 30 years. Inspired by traditional, young and directional winemakers here and overseas, we've strived to develop a small and select portfolio of interesting wines. The grapes chosen for Moothi wines are harvested from specially selected rows where individual berries are tested for ripeness, colour, taste and mature tannins to ensure what goes into the bottle is the finest wine we could possibly produce. In 1854 Andreas Kurtz the Great Grandfather of Alfred Gustave Kurtz, migrated from Bavaria to Australia. Andreas was a weaver and a winemaker and planted the vineyard in 1856. So why did we choose Naked Lady Wines? Amaryllis belladonna, known as Naked Ladies or Belladonnas. They’re South African bulbs that come from the western side of the Cape. This vineyard of 100 acres is planted to various red varieties: Shiraz, Cabernet Sauvignon, Merlot, Durif, Zinfandel, Malbec, Petit Verdot and Chambourcin. This vineyard boasts some of our more famous red styles such as Glenesk, Ian's Selection. Beautiful handcrafted wines. Wines sculptured from the grapes grown on our 100 acre estate. Each displaying the vibrant characters of grape, soil and winemaker. Open 7 days 10.00am - 4.00pm. Established in 1858 and surrounded by picturesque vines and gum trees on the banks of Eurunderee Creek, the Cellar Door of Robert Oatley Vineyards, 'Craigmoor', is Mudgee's oldest winery and vineyard. At Robert Stein we produce a number of different styles of red and white wines. Ranging from dry through to semi-sweet whites, and light soft tannin through to rich, complex red wines with a fine dry finish. In each glass of red, every hand-crafted room, every locally sourced morsel, and each artistic flourish, is the beautiful, earthy, and wholly contagious Rosby way of life. Our approach to winemaking is simple: to create wines in Short Sheep’s Micro-Winery, that reflect the variety and quality of fruit our Mudgee vineyard produces or parcels of fruit carefully selected from the district. At Skimstone we specialise in vibrant food-friendly wines – in particular, the Italians – Sangiovese and Barbera. Our tasting shed is set in a classic regional landscape overlooking the hills and river of the Cudgegong Valley. We run about 7ha of vines on Brambletye Vineyard in Mudgee with a combination of trellised and bush vines. All our fruit is hand picked and made in our small-scale winery on site. Six years ago Sally and Johnnie Furlong decided to move their Vineyard Cellar Door to a more convenient location at the Fairview Centre, situated only two minutes from Mudgee. Organic farming was a choice Thistle Hill made forty years ago when we first started producing wine in the 1970s, not just because it’s better for our consumers, but because we genuinely believe organic wines simply taste better and sustainable farming is the right thing to do. After discovering that the Mudgee wine region has similar climatic conditions to the Rioja region in Northern Spain, Vinifera owners, Tony and Debbie McKendry, on an inspired journey into the world of Spanish wine. Open 10.30am to 4.30pm Friday, Saturday and Sunday. Extended trading on long weekends and during the annual Mudgee Wine Festival in September. A boutique wine producer located 4 km from the centre of the Mudgee township. Vines were planted in 1994 with subsequent plantings in 1996 and 2008. Walter Wines received a 4-star rating in the 2013 Edition of the James Halliday Australian Wine Companion. The vineyards are within the old Putta Bucca Estate subdivision and we have adopted that name to gather with Federation Hill for our wines. Federation Hill was the name given by Mudgee residents to the location where a picnic was held in January 1901 to celebrate the birth of the Commonwealth of Australia. Since 2010 the Yeates family have owned and worked hard to rejuvenate one of Mudgee's first-established vineyards, formerly owned by Rosemount and then Foster's.